FOR LOVERS OF: French house, Etienne de Crecy, Deadmaus5, ESG, Umberto, Yello, Add N to X, Death in Vegas, Stereolab, Ghostbox Records, Goblin and Italian Zombie Horror Soundtracks. 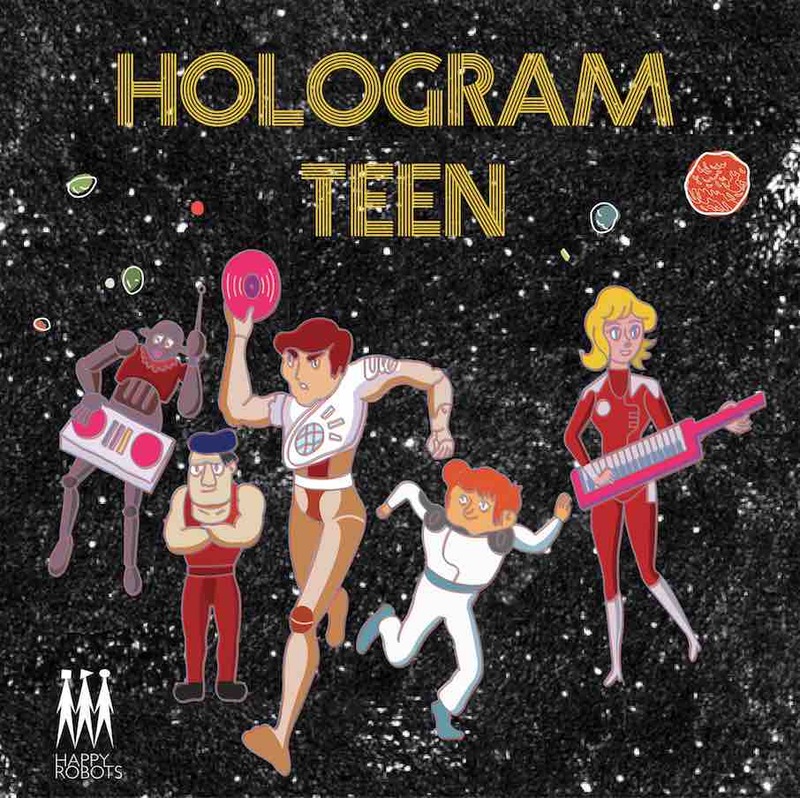 Hologram Teen is releasing a 2-track single on 7″ vinyl via London’sHappy Robots Records. This is the solo electronic motorik disco project of Morgane Lhote, former long-term keyboard player of Stereolab. Originally from Paris, Morgane moved to London when she was 20 and spent 12 years there. Then she moved to NYC and, nine years later, moved to Los Angeles. Her name is known to many for her work as keyboard player in the seminal indie kosmische act Stereolab, having recorded and performed with the band during their imperial phase between 1995 and 2001, when they released a series of career defining albums including ‘Emperor Tomato Ketchup’ and ‘Dots and Loops’. Fans of Common will also be able to find Morgane on the Sgt Pepper inspired sleeve for his Electric Circus album. She followed her time in Stereolab with a stint in The Projects and, from 2005, played in Garden with members of Simian Mobile Disco before starting the Hologram Teen project. The Hologram Teen sound, although embracing electronica and pop, does so in a way that is more evocative of a prog rock disco horror soundtrack than the soulless EDM that fills the pop charts. 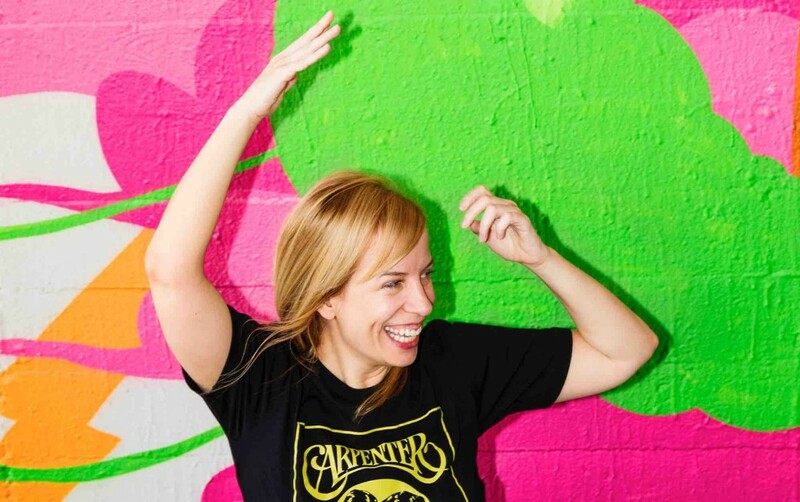 “It’s like Fabio Frizzi meets Grandmaster Flash,” says Morgane Lhote. Her debut sold-out single ‘Post-Apocalypteacakes’ was released on London’s Deep Distance label and mixed creepy vintage library effects with bouncy dancehall synths and disco beats. Following its release, Pulp’s Jarvis Cocker came to be among her many newfound fans. The Happy Robots Records single ‘Marsangst / Hex These Rules’pushes Morgane’s electronic horror movie sound in a new direction, almost inventing a whole genre – ‘techno-Krautrock’. Sounding like the best of seminal French house pioneer Étienne de Crécy condensed down to five minutes and remixed by Stripe from Gremlins. Her influences and tastes are super eclectic, citing Yellow Magic Orchestra, Chagrin d’Amour, NehruvianDoom, Maria Bethânia, The Salsoul Orchestra, Acid Washed, Jean Claude Vannier, Chicago, Del The Funky Homosapien, Silver Apples, Steely Dan, Don Armando’s Second Avenue Rhumba Band, Nancy Leticia, Riz Ortolani, and Siouxsie & The Banshees. Written by Morgane Lhote and co-produced with Jonathan R. Freihofer, both tracks were mixed by Jonathan R. Freihofer and mastered by Adam Gonsalves at Telegraph Mastering.The single’s glorious sci-fi artwork is by Alex Smith.